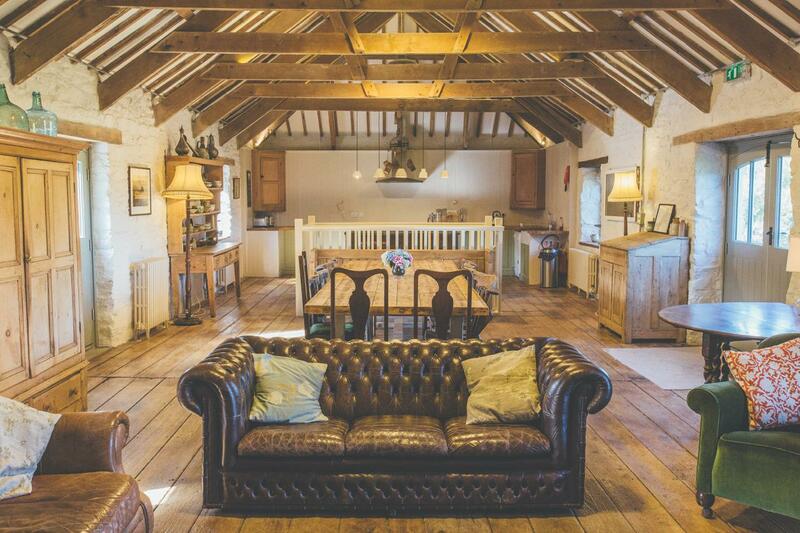 We’ve lovingly renovated several large barns located in the old farmyard. 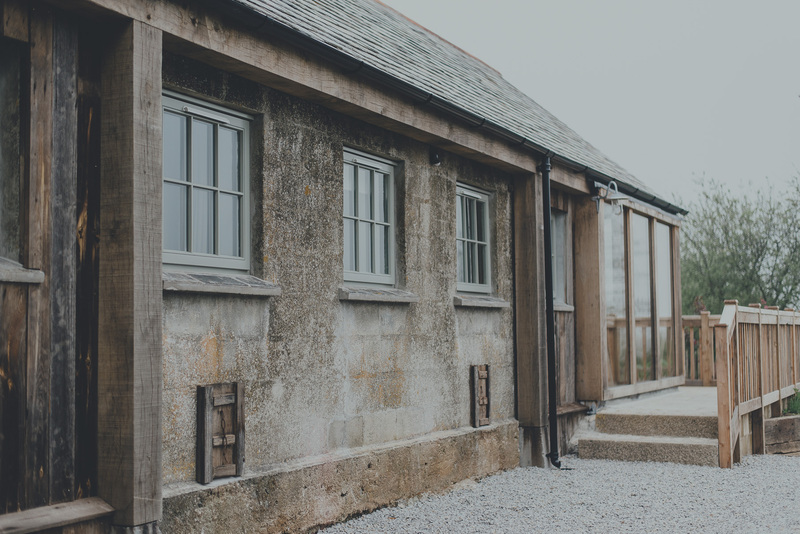 Our Grade II Listed mill house, the old piggeries and a former chicken shed now offer nine farmhouse style, luxury en-suite bedrooms and a large private dining room. We’ve also added four furnished bell-tents, meaning we can now accommodate up to 26 people on-site. Our site and accommodation is available on an exclusive use basis for wedding parties and corporate groups for up to four nights. Longer stays can occasionally be accommodated in low season. 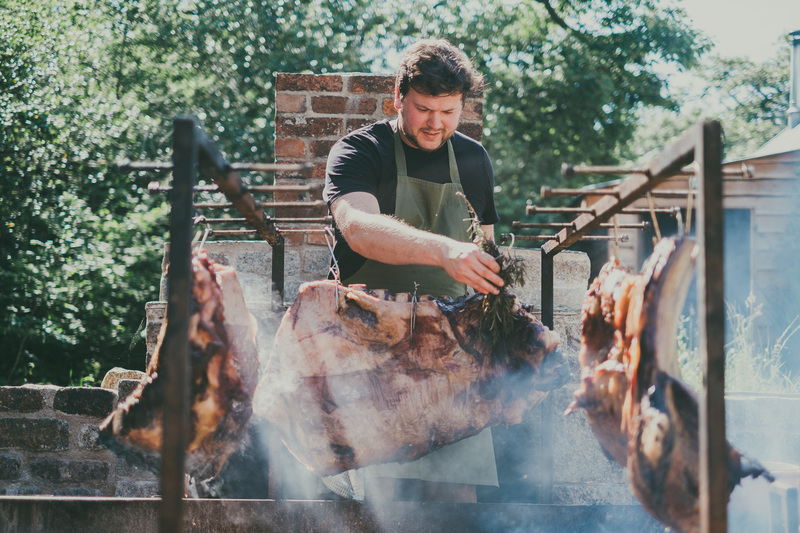 Dinner, Bed and Breakfast is available to our Feast guests, and there are other opportunities to use Nancarrow as a base for a trip to Cornwall. For confirmed event dates when Bed & Breakfast packages are available, please view our shop. The large open-plan kitchen and living space on the top floor of The Old Mill works perfectly as communal living space, a private dining room, or as a board meeting room. It is often used by wedding couples to host close friends or family the night before the big day, and many a post-wedding breakfast has been enjoyed around the long kitchen table. The kitchen itself is well-equipped, and there is a comfortable seating area. 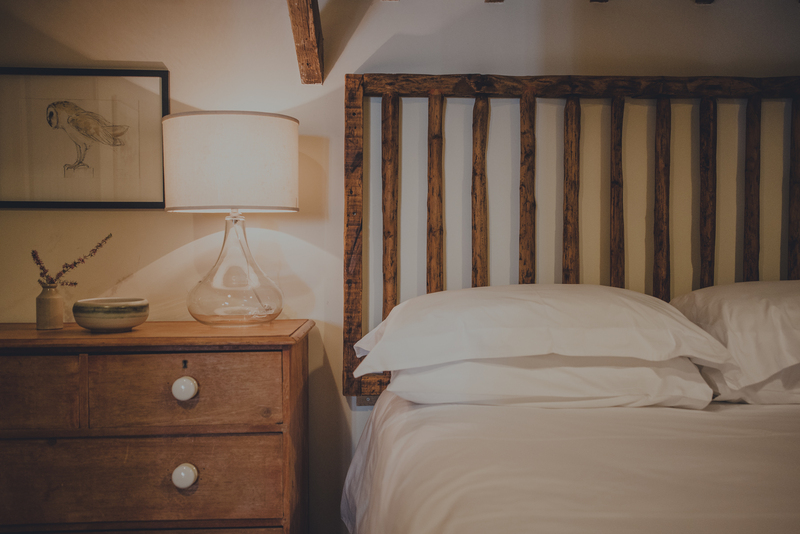 The Old Mill has five en-suite bedrooms, all of which feature beautifully restored vintage furniture and bespoke accessories. One of these rooms has been specifically designed for people with mobility and access issues, including wheelchair users. Our unique Bridal Suite was created from an old chicken shed with the help of a talented local architect, oak carpenter and many other helping hands. It is now a beautifully styled, peaceful space including a large bedroom and an indulgent bathroom, filled with natural light and reached through our herb garden. The sitting room is the perfect space in which to prepare for the day ahead in peace and seclusion. It’s also easy to reach the rest of the venue from the Bridal Suite, with a second bedroom helping to make life simple for the bridal party. This private suite is also available to guests staying with us for feasts, private dining and corporate events. 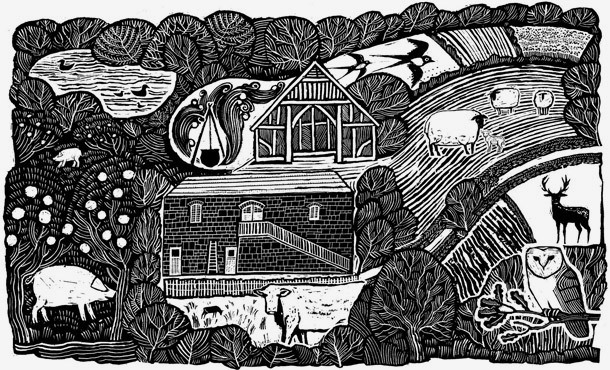 Our two en-suite rooms in The Old Piggeries continue the theme of countryside comfort. These rooms both have their own access off the central courtyard. 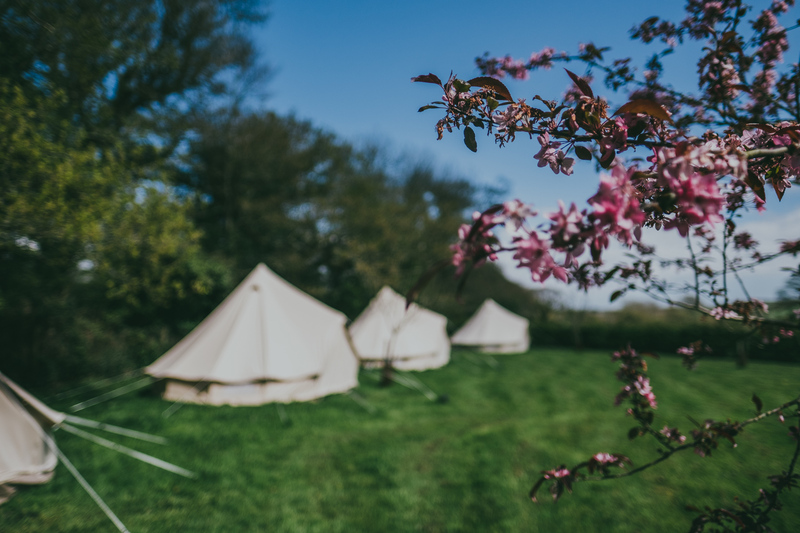 Four bell-tents provide alternative accommodation overlooking the barns in the orchard. Each is suitable for two adults and bedding is provided.